It’s the start of the rainy season and with it the Riviera Nayarit’s Reforestation Campaign begins once more. 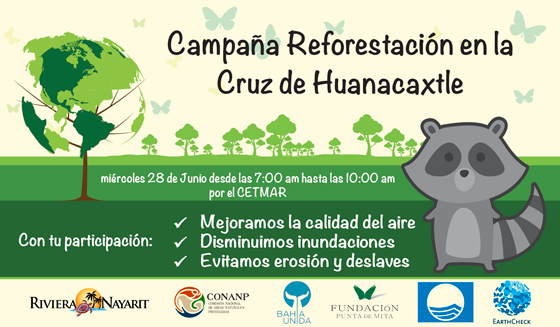 The Riviera Nayarit Convention and Visitors Bureau (CVB) and its Environmental and Cultural Programs desk, the National Commission of Protected Natural Areas and Bahía Unida A.C. are extending an open invitation to the general public to join the Reforestation Campaign in La Cruz de Huanacaxtle. The tree planting will begin in the Riviera Nayarit to take full advantage of the recent start of the rainy season. The first activity of the year will take place on Wednesday, June 28, 2017 from 7 a.m. to 10 a.m., and the meeting place will be at Cetmar 06. There will be two areas in La Cruz de Huanacaxtle that will receive tree species native to the region, both are near Cetmar 06 on the way to Playa La Manzanilla: one is on a stretch of Federal Highway 200 right before the old road to Punta de Mita, near the Centro de Calidad Nayarit. 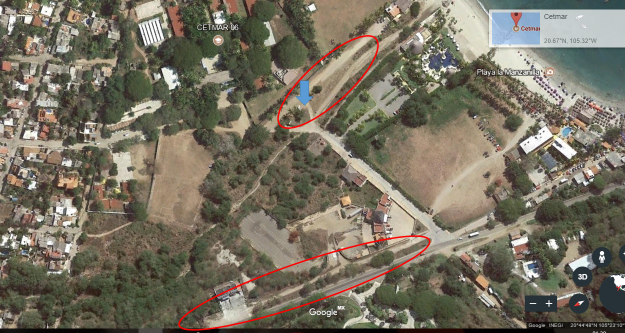 The other is near Pescador Street, the one that leads to the water on the same beach. The invitation is open to the general public, and asks participants to bring their own water bottles—even though free water is available, they trying to avoid contributing to the use of disposable bottles. As has happened each year since its inception in 2015, this project continues thanks to the collaboration of several entities within the Riviera Nayarit. To date it has benefited the communities of Punta de Mita, Sayulita, Lo de Marcos, San Vicente, Valle de Banderas, Jarretaderas and La Cruz de Huanacaxtle. Participants in the activity include Grupo Vidanta, Iberostar, Decameron, Dreams Villamagna, Dolphin Discovery, Fundación Punta de Mita, La UTBB, Piratas de la Bahía A.C., La Costera A.C., Fonatur Delegación Nayarit, Café la Lancha, la Red Tortuguera A.C., S.O.S por el Bienestar Animal A.C., to name but a few, and new ones are being constantly added. We’d like to thank the entities as well as the support of the National Forest Commission, the Bahía de Banderas City Hall and the delegates from La Cruz and Valle Dorado. For more information please call 044 (322) 121 82 16 or write mduenas@rivieranayarit.com.